Villa Bima Sena is located near Seririt, a village at the still quiet north coast of Bali. The sea is beautiful and clean. There are beautiful bays and a lot of beautiful nature for you to see. The villa is located at a distance of ca, 2 1/2 hrs by car from the airport of Denpasar. Brong Bong is a small Balinese village with its typical own character. You can make a lot of daytrips to cultural and natural highlights in the area, but also visit beautiful locations and towns in other parts of the island. You are close to the island of Menjangan, one of the most beautiful places for diving and snorkelling. In the vicinity of the villa you will find a series of natural and cultural highlights, summarized below. Amed is still an authentic fishing village where every morning and evening the spectacle of departing / returning fishing boats can be experienced. The area consists of beautiful rice fields and it seems as if time has stood still here. Small tourist town on the east coast of Bali. It has no natural beach but it offers access to the nearby beaches (eg Amed Beach) and the coral reefs of the east coast. You have excellent snorkeling in a beautiful, bright blue sea. The village has several shops, bars and excellent restaurants. 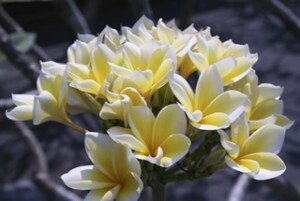 A must-see for tourists visiting Bali is Taman Gili. The remainder of the royal palace in Klungkung in eastern Bali, dating from the early 18th century and was destroyed in 1908 during the Dutch conquest. Unlike the crowded Kuta Sanur has a reputation for quiet and expensive, making the place appreciated especially by a slightly older audience . Sanur is a more expensive alternative to Kuta. The presence of good but cheap eateries in the vicinity of the 5-star hotels. The Le Mayeur Museum, named after a Belgian painter who was married to a Balinese, is worth a visit. His former studio is part of the museum. A small village located just below Kubu. The dive sites here include black volcanic sand slopes, coral reefs and a wall dive. 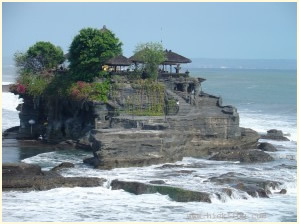 Because of its location on the east side of Bali, this area is rich with plankton from the water supplied by great currents between the Pacific and Indian Ocean. In this exceptional environment, the color contrasts of hard and soft corals, the many fish and other marine life accentuated. Mount Agung in East Bali lies west of Kubu, with the top northeast of the great temple of Pura Besakih. The foot of the mountain ranges in the northeast out to sea, and on the southeast side are a few small volcanoes. The top of the mountain is 3142 meters. A small valley separates the Agung volcano in the adjacent Gunong Batur. The lower slopes of the mountain are very wooded and farming takes place at a height of about one thousand meters. The population of the island sees the Agung as the ‘navel of the world “, the geographical and religious center of the world. 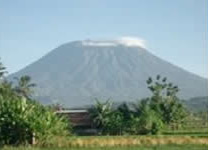 The Agung is best climbed in the period from July to October. The climb is quite heavy, long and dangerous. Hiring a guide is therefore strongly recommended. There are three common routes used to climb the mountain, one from the south, southeast and half from the last one from the west. This latter route is the most taken for the starting Pura Besakih. The best time to climb to the Agung morning. At that time, the sky is clear, and the climber can enjoy the view, as well as during the climb to the summit. In clear weather it is possible to the summit of Gunung Rinjani can be seen on the neighboring island of Lombok. The central place religion occupies in the Balinese culture is evident in the many temples around the island you encounter. Each village or town has at least one temple. There are village temples, sacred temples, rich temples, temples, family, profession temples, mountain temples, temples and coast. 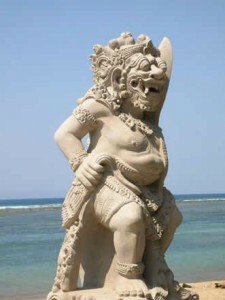 Bali is the only island in Indonesia where Hinduism is the dominant religion. A number of temples dating back one thousand years. In the centuries that followed, many temples were built and even today are still built new temples. 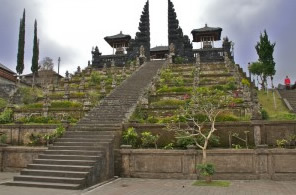 This is the mother temple of Bali and is the key. He is on the slopes of Mount Gunung Agung, Bali’s highest mountain. It is a large complex with many buildings. Tourists may not enter the temple itself, but when you walk about the complex, you can still see enough. The entrance of the temple are many pushy “guides” that you paid around to live. You do not use it, but if you still want an explanation, find someone reliable. 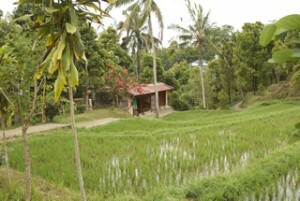 Near Besakih is beautiful with many rice fields. In particular, the road between Rendang and Sidemen is very rewarding. This is probably the most photographed temple in Bali. It stands on a rocky island, which can be reached at low tide by foot. Many people come to this place at sunset. It is also the most touristy temple on the island. Pura Taman Ayun is in Mengwi and was established in honor of the princes of the dynasty of Gelgel. It is a royal temple of the Emperor of Mengwi. Originally the temple was consecrated in 1634 called Taman Ahyun. The word “Ahyun” comes from the “Hyun”, which means that the temple was founded in a garden surrounded by water. The complex is indeed surrounded by a moat, which is connected to a pond. On the square are numerous temple meru towers. These are buildings with stacked roofs. They suggest the mountains, where the gods reside. The temple is located in Tirta Empul Tampak Lilac (Tampaksiring or Tampak Siring). 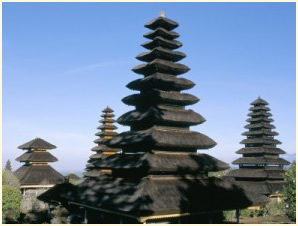 This temple is one of the six most important temples in Bali considered. 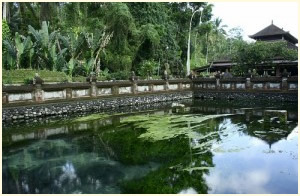 The name “Tirta Empul” means “crystal clear stream” that indicates that it is used as holy water for religious ceremonies. The holy source, according to the Balinese healing powers. So they go once every year to Tirta Empul here to take a bath. Pura Ulun Danau Bratan temple stands on a small peninsula in Lake Bratan. The lake lies in the volcano Ganung Catur.De people of Bedugul honor the goddess in this temple Dewi Danau. Together with the temple Pura Danau Batur Ulun this temple is the most important irrigation temple of Bali. Places worth seeing in Bali. Denpasar is the largest city in Bali, the center of trade and government administration. The main street, Jalan Gajah Mada, the commercial center with shops, banks etc. The city museum is well worth a visit with an interesting collection of artefacts from prehistoric times to the present. Perhaps Jimbaran has the most beautiful beaches of Bali, more than 6 kilometers long with many palm trees. Jimbaran is a former small fishing village transformed into a center of luxury hotels. There are also plenty of restaurants where you at sunset in a romantic atmosphere can really enjoy! Early in the morning is a visit to the daily fish market something you can not miss. Kuta is especially popular with the younger crowd. The beautiful, long and wide beach in Kuta is famous for its high waves which makes it ideal for surfing, but not for swimming. This is the only place on earth where the waves break on sand, not on sharp reefs. Kuta is looking forward to the west giving you here a beautiful sunset “on the beach ‘to enjoy, obviously, as the clouds stay away. This city has many local, inexpensive restaurants, shops and nightclubs. Lovina is in contrast to Kuta a very quiet beach resort situated on the north coast of Bali. It is characterized by a calm sea with a black beach where hundreds of boats waiting to take you into the early morning hours (6 hours) to dolphins to sea. Again many restaurants on the beach offer the possibility of a beautiful sun set. Ubud is approximately 1.5 hours drive from Villa Pandu. On the way to Ubud you will pass some small towns which specialize in a particular art form, as Batubalam (stone carving), Celuk (jewelry), Batuan (painting), and Mas (wood carving). Ubud is a place in the center of the island and is considered a cultural center of the island. The name is derived from the Balinese word ubad, which means medicine. Ubud is famous for the traditional Hindu culture. Ubud Market, on the corner of Monkey Forest Road and Jalan Raya Ubud. Two floors of stalls filled with carvings, batik shirts, sarongs and many other souvenirs.